There’s no better gift than an unforgettable experience - and that’s just what we offer at Breakout Lawrence. Our gift certificates and souvenir gift keys make great birthday gifts, rewards for outstanding employees, graduation presents, holiday gifts, and more. You can get gift certificates in store or online - click here to buy online. Gift keys are only available in-store. Come see us! Instant & Customizable – You have the ability to customize your voucher with a note and image of your choosing! Need a quick gift? You’re in the right place! 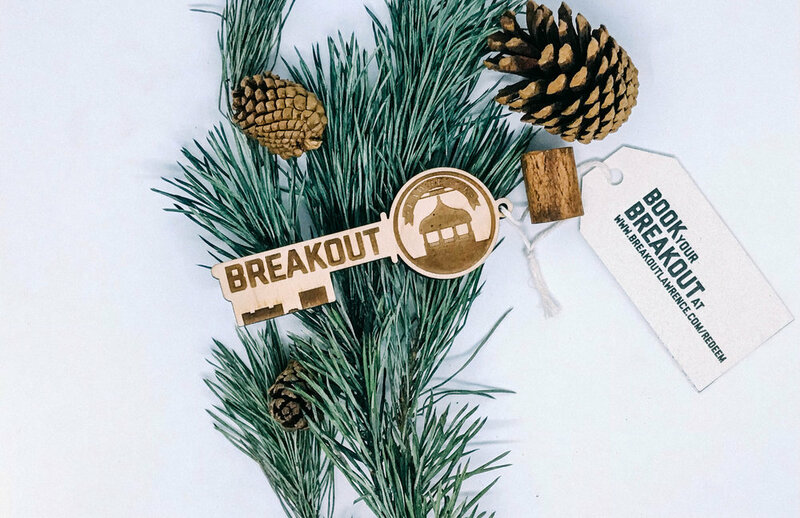 Our eye-catching wooden gift keys are the perfect way to share the fun challenge of escape rooms with friends and family! A great option for a lasting gift! Gift voucher and key codes are location-specific.